50,000 trillion Becquerel’s of radiation leaked: 300 tons of radioactive water leaking daily into the Pacific and no known technology to fix it, so you can imagine the anger by local residents, environmental groups and fishermen as Tokyo Electric Power Co., TEPCO, the operator of the Fukushima plant announced they are set to release more radioactive material into the Pacific Ocean. Around 770,000 tons of highly radioactive water is being stored in 580 tanks at the site. Many of the contaminants can be filtered out, but the technology does not presently exist to remove tritium from water. Tepco say tritium poses little risk to human health and is quickly diluted by the ocean. In an interview with local media, Takashi Kawamura, chairman of TEPCO, said: "The decision has already been made." He added, however, that the utility is waiting for approval from the Japanese government before going ahead with the plan and is seeking the understanding of local residents. 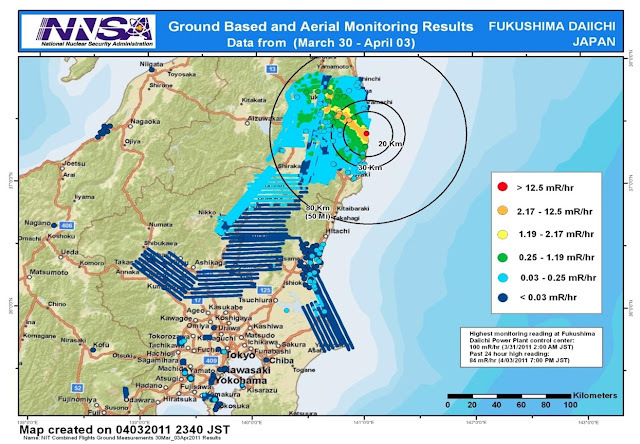 The tritium is building up in water that has been used to cool three reactors that suffered fuel melt-downs after cooling equipment was destroyed in the magnitude 9 earthquake and tsunami that struck north-east Japan in March 2011, according to The Telegraph. The China syndrome refers to a scenario in which a molten nuclear reactor core could fission its way through its containment vessel, melt through the basement of the power plant and down into the earth. While a molten reactor core wouldn’t burn “all the way through to China” it could enter the soil and water table and cause huge contamination in the crops and drinking water around the power plant. It’s a nightmare scenario, the stuff of movies. And it is happening at Fukushima and there is no technology known to man to stop it continuing. TEPCO, Tokyo Electric Power Company however is trying to play down the full impact of this nuclear accident. According to scientist Micho Kaku there is a mathematical formula which can determine at what level the accident really is. Apparently the stricken nuclear plant has already released 50,000 trillion Becquerel’s of radiation which would put Fukushima in as a category 7 nuclear accident which is still less than Chernobyl however The Fukushima plant is still continuing to leak radiation from its reactors and TEPCO have claimed the problem could take another 40 years to fix, and to top that statistic the whole situation is less than stable. 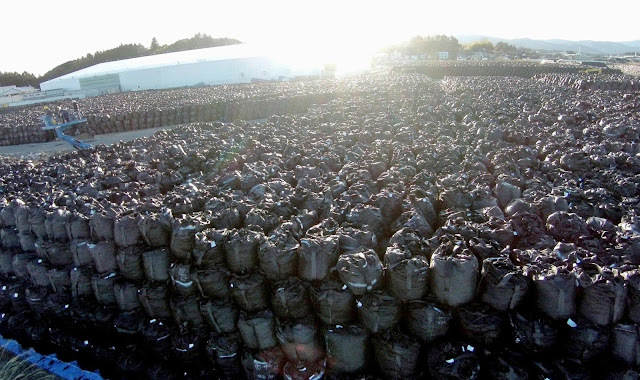 Fukushima is basically a ticking time bomb. The slightest disturbance i.e. a small earthquake and there are many as the stricken plant sits on a fault line causing a pipe to burst and an evacuation of the crew could set off a full scale melt down at all 3 nuclear power stations taking the catastrophe far and beyond what happened at Chernobyl. To make matters worse TEPCO in a moment of panic pumped in sea water from the Pacific in a desperate attempt to keep water above the melting core but as we well know sea water contains salt which corroded any remaining working pumps at the site. They resorted to sending in suicide squads into the crippled plant to hose water onto the melting reactor. And the situation has now worsened. This accident has released enormous amount of iodine into the atmosphere, Iodine is soluble, and when it rains it soaks into the soils and of course into the food system. Farmers there are now dumping milk and crops and the local economy has collapsed. It's been over half a decade since Japan's Fukushima Daiichi nuclear power station suffered a catastrophic meltdown which topped the International Nuclear Event Scale due to its severity. Radiation loves to hang around, and researchers conducting operations with robots inside the damaged reactors were met with radiation levels at their highest point since the actual meltdown back in 2011. In fact, the radiation level is so elevated that the robot operators had to quickly recall one of their robotic probes because it began to literally go blind. Like sending a rover to another planet, the mission for robot operators from the Tokyo Electric Power Company (TEPCO) is to monitor the status of the failed reactors and the nuclear materials housed within. However, TEPCO was able to study some of the readings taken by the robots before things went awry. The scientists have estimated the level of radiation to be anywhere from 530 Sieverts per hour to 650 Sieverts per hour. Those numbers are representative of the amount of radiation an object would expect to be bombarded with over a specific period of time. To add a bit of scope to that, it's estimated that just one Sievert will cause fatal cancer in approximately 5% of people, while a dose of five Sieverts will kill 50% of people exposed to it within a month. Later this month TEPCO plans to send yet another probe into the reactor to take additional readings and hopefully paint a clearer picture of just what exactly is going on inside.